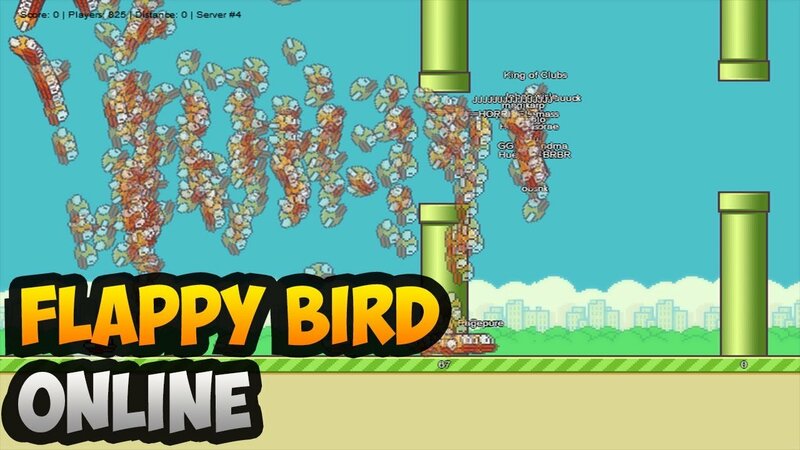 Flappy Bird, the most recent addictive gaming phenomenon to hit the internet and mobile devices everywhere, has been turned into an MMO! All you have to do is follow the source link below to be transported into a game of Flappy Bird with hundreds of other people. You can see everyone else as you play and even race to see who can stay alive the longest. When you follow the link you’ll be thrown into a sever with 100 – 200 other people. Whenever you die you’ll restart at the beginning of the level, but the level won’t change as it does in the original game. Instead you get to learn the course while watching the pipe statistics – how many people have died at that pipe and the average percentage of people that are taken out at said pipe – and hopefully catch up to the server’s leaders. You can even party up with your friends! There is a slew of lag that somehow makes the game easier and harder at the same time. It’s a fun little novelty I highly suggest you check out at least once before it’s taken down. 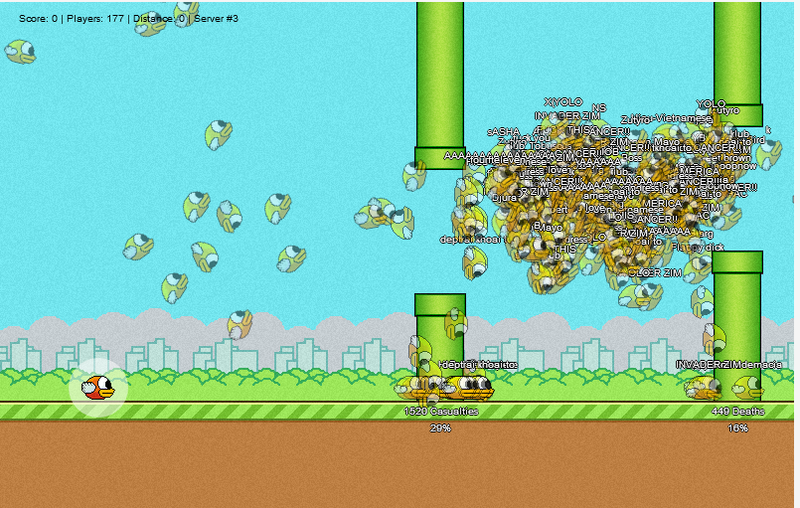 It’ll probably quell your Flappy Bird itch for good by the time you decide to never visit the site ever again.